of Neve, the steel warrior?! It has been a few days since facing off with the deadly threat known as Link Joker. Peace has returned, and everyone is back to their normal lives. However, Toshiki Kai is faced with an astounding situation. The hero who saved everyone from the threat of Link Joker, Aichi Sendou, has vanished from the face of the planet. 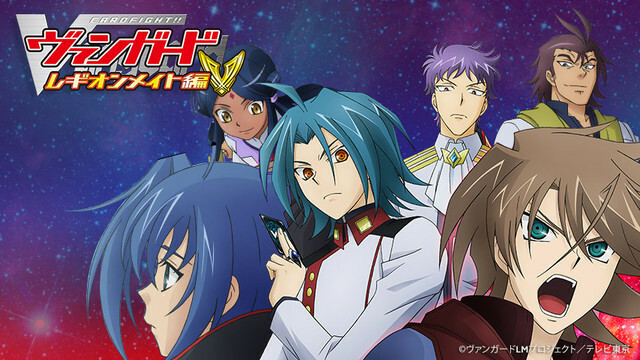 On top of that, the memory of Aichi has even disappeared from people's memories... With no clues as to what's going on, Kai embarks on a journey to search for Aichi, armed with only "Blaster Blade", the symbol of their bond, as well as the Royal Paladin deck.